You are here: Home / Frequently Asked Questions / Why Did my Co-Worker Get a Bigger Settlement than Me? Why Did my Co-Worker Get a Bigger Settlement than Me? There are many reasons why your former co-worker or perhaps a neighbor or friend claims he received a larger settlement check than you did. And you can be certain that your lump sum is bigger than someone else with a similar injury. 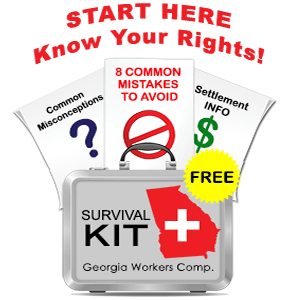 Every Georgia workers’ compensation case is unique and the treatment you receive and medical records produced by your authorized treating physician are equally unique. Similarly your employer and their insurance company will approach work injury claims different than someone else’s employer or insurer. What are the Details of Your Neighbor’s Case? Unless you have access to your neighbor’s medical records, you won’t know exactly how serious your neighbor was injured. You won’t know what the diagnostic tests (MRI or CT scan) showed, and you won’t know about the treatment plan created by your neighbor’s doctor. You won’t know if there were complications with your neighbor’s surgery, or if post-surgical rehab went well. You won’t know if your neighbor tried unsuccessfully to go back to work or if he was released to light duty work. Perhaps your neighbor worked for a company that fights every work injury claim, or if the insurance adjuster is reasonable or hostile. You won’t know your neighbor’s weekly compensation rate or if he was given a permanent partial disability rating by his doctor. And unless you see your neighbor’s bank statements, you won’t know for certain exactly what he received. Finally you don’t know how your neighbor’s lawyer approached his case or how effective that strategy was. As you can see, there are many, many variables that come into play when comparing your case to that of a similarly injured co-worker or neighbor. Even within our own office, we have negotiated very different settlement amounts for clients with relatively similar injuries because the facts and issues in these apparently similar cases were so different.